US Congressman Stephen F. Lynch slammed President Trump on Friday, a day after Trump abruptly intervened to block a previously undisclosed trip to Afghanistan by Lynch, House Speaker Nancy Pelosi, and other senior members of Congress. 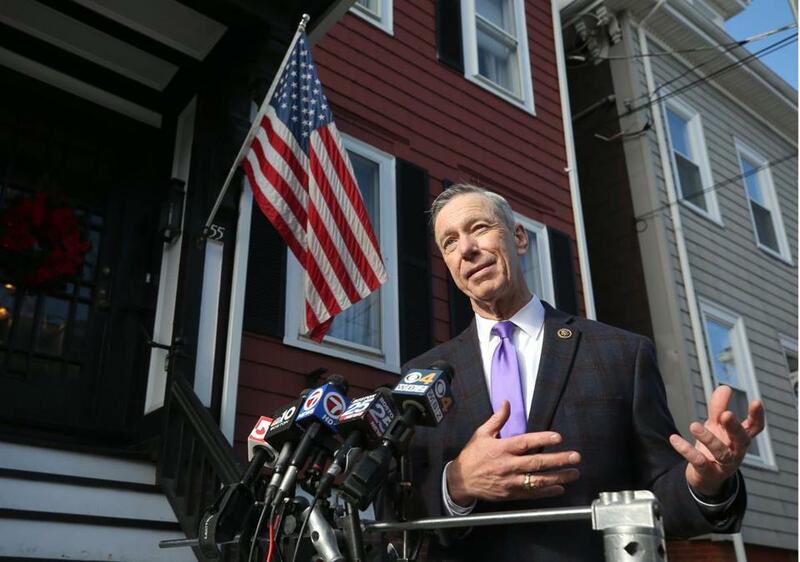 “It was extremely reckless and thoughtless — and potentially very dangerous — that the president announced our itinerary going into a war zone,” the Democrat said in a news conference outside his South Boston home. The White House said it leaked nothing that would create a security risk. On Thursday, Trump canceled a military plane that was to have carried the congressional delegation to Afghanistan and, in a letter to Pelosi that the White House released to the public, Trump suggested that the lawmakers travel by a commercial airline instead. On Wednesday, Pelosi had asked Trump to reschedule his upcoming State of the Union address or deliver it in writing, saying the ongoing partial government shutdown — the longest in the nation’s history — made security planning for the annual speech nearly impossible. Trump canceled the congressional trip the next day. Lynch said the Congress members had planned to visit American troops, the Afghan president and prime minister, and nongovernmental organizations operating in the region as part of Congress’s duty to provide “vigilant oversight” on the actions of the executive branch. He said the members of Congress learned of Trump’s letter to Pelosi “15 minutes before wheels-up” on their departing flight. “It is dangerous under the best of circumstances,” Lynch said of travel to Afghanistan, where he has visited 14 times previously. “But to have the president of the United States put members of Congress in physical danger because of the reckless and thoughtless way of him handling this — to put out on open media that the speaker of the House and senior members of Congress are on their way to Afghanistan, and to even suggest that the only available option for us was to fly commercial — there are very, very few flights going into [the] Kabul airport from the US. “It basically gave the Taliban and others — ISIS, Al Qaeda — firsthand information, basically, of when our plane was coming in,” Lynch said. Publicizing the trip, he added, also endangered the legislators’ diplomatic security team, military escorts, and aides accompanying them. He said Congress could take away the president’s power to block such trips by redirecting the budget for congressional travel to an office within the House of Representatives instead of sending those funds to the State Department, which is controlled by the executive branch. “It’s a little bizarre that they have the ability to cut off funding for Congress to oversee . . . the president and the executive branch,” he said. Lynch told reporters he believes the ongoing standoff between the president and congressional Democrats over funding for a wall on the nation’s southern border could be resolved. He said he and colleagues in his party were willing to negotiate with Trump, who for more than three decades has styled himself as a gifted dealmaker. Material from the Associated Press was used in this report. Jeremy C. Fox can be reached at jeremy.fox@globe.com. Follow him on Twitter @jeremycfox.